Amazon originally started out many years ago selling books online. But owner Jeff Bezos has aggressively led it to now selling everything online, making Bezos one of the richest men in world history. Bezos's corporate empire includes Amazon Web Services (AWS), a leading pioneer of cloud computing services. Cloud computing enables anyone in an organization worldwide to access the organization’s documents and data online. That enables the organization’s employees to collaborate and communicate online, from anywhere in the world. America’s Defense Department is now trying to catch up to the world’s leading multinational companies to adopt cloud computing for America’s global national defenses. The contract for that cloud computing is increasingly falling into the hands of Bezos's Amazon Web Services. Amazon’s corporate empire also includes the Washington Post, and Bezos is also one of America’s leading Trump haters. While Defense denies any decision has been made, Amazon already won a $600 million, 2013 contract to provide cloud services to the CIA. The next year, Amazon won the contract to provide cloud computing to the General Services Administration (GSA). Then in February 2016, Defense granted a nearly $1 billion contract to REAN Cloud LLC, an Amazon partner, to help with the Defense Department’s transition to the new Cloud services. The IT world loudly raised alarm bells that this meant the Defense Cloud contract was going to Amazon as well. The Pentagon said it was unaware of the contract granted by its Silicon Valley-based innovation unit. President Obama, in fact, established Defense Department IT sub-agencies specifically to help out Silicon Valley-based companies that supported his campaigns. Bezos commands a vast array of Washington lobbyists, and has already salted Defense IT bureaucracies with former Amazon employees who remain as Obama holdovers. As Steve Sherman wrote in Townhall on March 14, “It’s hard to believe… reassurances that the process isn’t rigged as you begin to search through the multitude of appointees involved in the process who now work for the Pentagon who were once Amazon employees and found their place in the swamp as Obama appointees.” Indeed, Bezos himself is Chairman of the Defense Innovation Board. Like the rest of Amazon, the cloud computing contract is increasingly growing into one giant, mega, single source, $10 billion contract for 10 years. One Defense Department high tech contract would cover services to 3.4 million users, operating from 4 million devices, utilizing 1,700 data centers. There could be 500 different cloud initiatives across the whole department. Despite America’s array of world leading IT innovators -- Microsoft, Google, Apple, Oracle, Intel, Hewlett Packard, Cisco, IBM – the Pentagon is falling into the trap of turning over its entire global computing to the Washington insider tech behemoth Amazon. Even worse, Amazon Web Services is already compromised by the Chinese government. That arises from the previous AWS contract with Beijing Sinnet Technology Co. China requires foreign companies doing business in China to transfer its technology to its local Chinese partners. China considers that the price of doing business in China. “Chinese law forbids non-Chinese companies from owning or operating certain technology for the provision of cloud services,” AWS explained. Consequently, in order to comply with Chinese law, AWS sold its cloud computing technology to Sinnett, its Chinese partner, the Wall Street Journal reported last year. 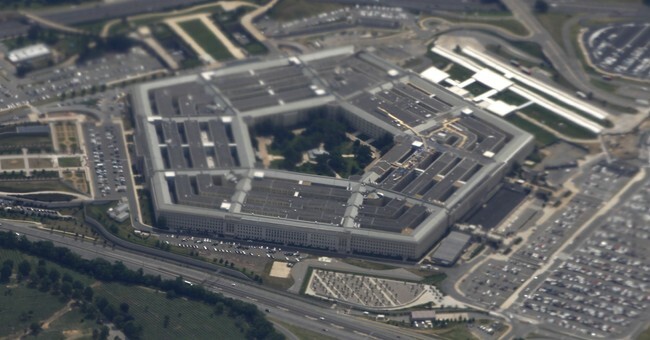 Putting all of America’s Defense documents and data in Amazon’s cloud consequently just invites China to hack into the Pentagon’s computers and snoop around. That is more than a threat to national security. With all of the Pentagon’s documents and data in the Amazon Cloud, Chinese and Russian hackers would have access from all over the world to America’s national defenses. Shocking that America’s military commanders would be letting the American people down in that careless way. Amazon’s effective takeover bid of the Pentagon exposes America’s national defense to Chinese invasion.